Thursday, 12 Sep 2019 at 7:30 PM . 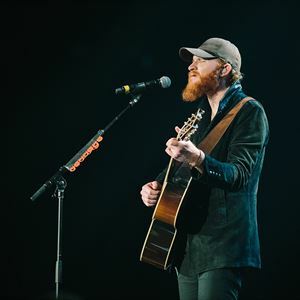 Country artist Eric Paslay delivers a powerful punch as a renowned, Platinum-selling, hit songwriter and dynamic performer. Paslay has celebrated five No. 1 hits including ‘Even If It Breaks Your Heart’ (Eli Young Band), ‘Barefoot Blue Jean Night’ (Jake Owen), ‘Angel Eyes’ (Love & Theft), ‘Rewind’ (Rascal Flatts) and ‘Friday Night’, the smash lead single from his critically acclaimed self-titled debut album. The Temple, Texas native has earned numerous songwriter award nominations including GRAMMY’s Best Country Song, ACM’s Song of the Year twice and the CMA Song of The Year for ‘Even If It Breaks Your Heart’. Eric was also honoured with GRAMMY nomination as an artist in 2016 for Best Country Duo/Group Performance for ‘The Driver’- a collaboration with friends Charles Kelley and Dierks Bentley. A true artist’s artist, USA Today calls Paslay “flat out-brilliant” and American Songwriter names him an influencer of country music.